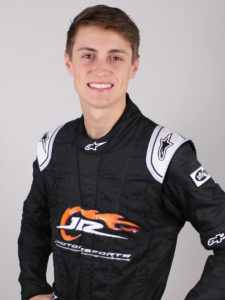 NASCAR Next Alum Zane Smith comes to JR Motorsports from the Automobile Racing Club of America (ARCA) Racing Series to drive the No. 8 Chevrolet part-time during the 2019 season. Smith will take his turn behind the wheel at Las Vegas Motor Speedway in March and Bristol Motor Speedway in April, as well as, both Iowa Speedway and Richmond Raceway events among other events this season. With more than 100 wins to his name, Smith has an accomplished resume in venues from Karts to Legends cars to Super Late Models to a NASCAR Truck Series run. In 2015, he finished runner-up to NASCAR Cup Series driver Chase Elliott in the Snowball Derby. Most recently, Smith drove for MDM Motorsports competing full time in the ARCA Racing Series. Throughout the 2018 season, the California native collected four victories, 12 tops fives and 13 top 10s, along with one pole award. The strong run earned the young driver a runner-up finish in the series’ standings.